Many of the top motorcycle drag racers in the nation will descend on Memphis International Raceway (MIR) for the Manufacturers’ Cup on June 19-21. The Man Cup offers the widest variety of drag bikes around with Top Fuel Harleys that reach top speeds of close to 250 mph and more than a dozen other classes racing to entertain nearly every bike fan out there. 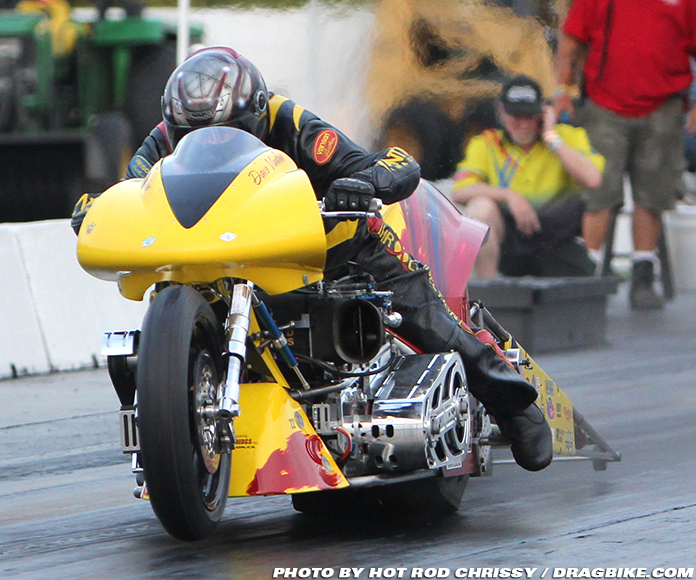 Some of the fastest drag racing motorcycles on the planet will converge on MIR this weekend. Other classes racing include Pro Fuel, Pro Comp, Pro Open, Pro Street, Real Street, Super Comp, Street Fighter, Top Gas, Super Eliminator, Crazy 8s, V-Twin and Ultra 4.60. There will also be time set aside on Friday and Saturday for Grudge racing as well. The weekend gets under way on Friday. There will be a Test N Tune session for Man Cup riders from 1-7 p.m. That will be followed by a grudge racing session from 7-10 p.m.
Saturday the gates open at 7 a.m. with time trials starting at 9 a.m. with qualifying and grudge racing going on until after 10 p.m. Sunday the gates open at 7 a.m. with a chapel service at 7:45 a.m. Racing gets under way at 8:20 a.m. with a final round of time trials before opening ceremonies and eliminations begin at 11 a.m.
A full weekend pass is $40. For individual day tickets, Friday admission is $20, Saturday is $25 and Sunday is $15. Children 12 and under are free.